The 4PLAYprovides a ready-to-go light bar for the entertainer on the go. The bar is fitted with four LED moonflowers each containing 57 red, green, blue and white diodes to produce razor-sharp rotating beams. The unit features 6-channels of DMX control with built-in automated and sound-activated programs. The 4PLAY fits onto most standard tripods, including speaker stands and the 4BAR tripod. And, it comes with a free travel bag. Considering purchasing the Chauvet 4 PLAY? Have questions? Ask people who've recently bought one. 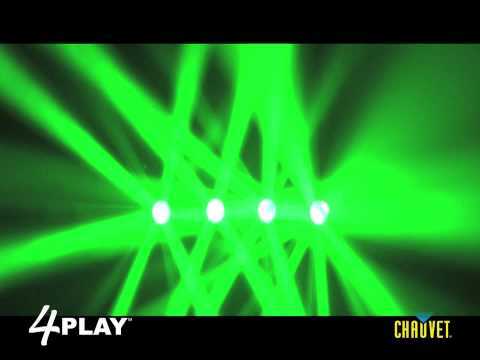 Do you own the Chauvet 4 PLAY? Why not write a review based on your experience with it. A really great easy to set up lighting effect. I wanted an easy to set up lighting effect for small set ups. It does the job perfectly. I have also used it as part of a large lighting set for infill on the dance floor and it does that perfectly as well. A brilliant product at a really good price. Perfect service as always from DJ Kit. Delivery on the exact date requested. Went direct to the store, unsure which items to purchase, excellent demo's given by competent staff, will definitely purchase from DJkit again. Brilliant room filler, very bright beams even without smoke, bar is very light but solidly built excellent idea with hole in the middle to mount on poles. Plug & play really simple & effective product. 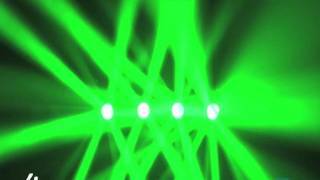 Seen a video for Chauvet 4 PLAY online or have you own video? Check out Chauvet 4 PLAY on DJkit.com!